This blog intends to review and report on the first full European campaign game played using the new expanded rules for Axis Empires Totaler Krieg. The AAR intends to be as detailed as possible including graphical material, rolls, rules discussion and narrative on strategy and tactical battles and politics. The game will be played in solitaire, but it will probably emphasize more the details on the German side. Note that the expansion of Axis Empires includes three main aspects: First, and the most attractive for us, is the air-naval expansion kit, called Schiffskrieg. This expansion may bring more detail to the air naval combat by adding capital ships counters and more air wings/corps instead of relying only on abstracted fleets. This expansion kit may also have more impact in Dai Senso game since it is played with mostly air-naval forces. The expansion also includes a Dice of Decision II which is simply a random generator for campaigns. There is also an upgrade to some units, maps and rules. German side played “Goering Works Established” which adds two Panzer corps to the Force pool and one infantry corps per conditional event. The Allies chose “Change of government” and they got one additional infantry corps unit per conditional event (policy affected country). One of the novelties of the expansion is that you can construct individual ships. In order to do that, in the corresponding building phase you have to roll for ship building. In case of Germany, it led to “1” dice roll result, which is a success. Therefore, SBR=1. The German chose to allocate the BB Bismarck for shipyard building. However, another roll is necessary to determine when the ship can be ready to deploy. The Roll Shipyard Delay Box dice roll result is 3. This should be a cumulative result adding the German factor +9 and the ship type (BB) +2 which leads to: 3+9+2=14. The Bismarck will be commissioned on late August 1940 (Autumn 1940). Interestingly, historically it was commissioned on 24 August 1940. 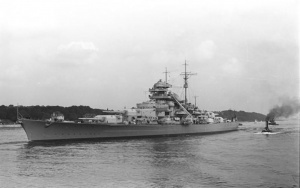 BB Bismarck in August 1940. 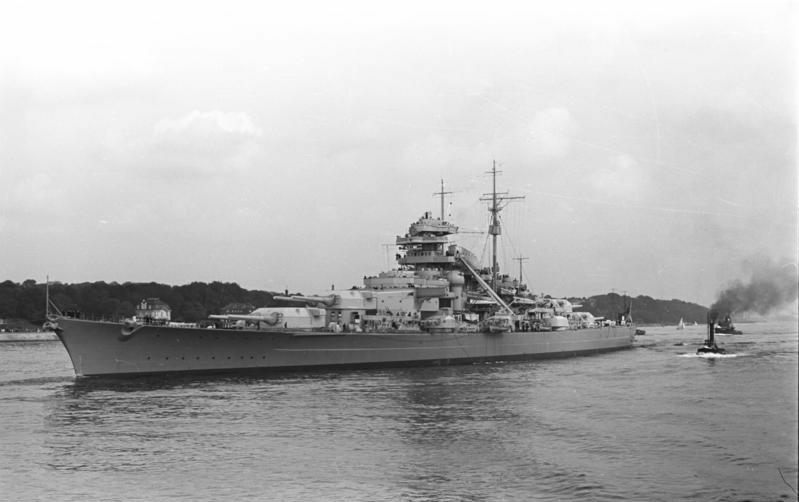 Bismarck was the first of two Bismarck-class battleships built for Nazi Germany’s Kriegsmarine. Named after Chancellor Otto von Bismarck, the ship was laid down at the Blohm & Voss shipyard in Hamburg in July 1936 and launched in February 1939. Bismarck and her sister ship Tirpitz were the largest battleships ever built by Germany, and two of the largest built by any European power. Britain receives 1 SBP is obtains a roll of 5 or less. The dice roll was 4 which is a success. They chose CV Illustrious for shipyard deployment. The Roll Shipyard Delay Box is 3, which summed to the cumulative +9 factor for British naval forces leads to +12. The CV Illustrious would be commissioned on Nov-Dec 1939, and historically it was commissioned on 25 May 1940. 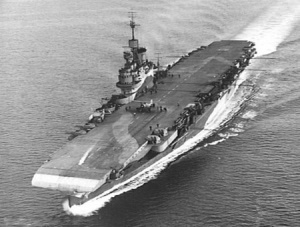 Carrier HMS Illustrious commissioned on 25 May 1940. The Illustrious class was designed within the restrictions of the Second London Naval Treaty, which limited carrier size to an upper limit of 23,000 tons. They were different in conception to the Royal Navy’s only modern carrier at the time, their predecessor HMS Ark Royal, and what may be described as their nearest American contemporaries, the Yorktown and Essex class carriers. The Illustrious class followed the Yorktown but preceded the Essex. France tries to expand naval forces too. France receives 1 SBP on a roll of 1 but rolls 3 and fails. Soviet Union rols for delay box for marker naval purges, and obtained +2. Russia receives 1 SBP on a roll of 1, but rolls 2 and fails.